We are French and Anneke De Gouw. Frans is electrician by profession and Anneke comes from the hospitality industry. In 1998 We started the whisper boats. In the beginning quietly with three boats, meanwhile the fleet of De Gouw has been extended to 22 boats and a cruise boat. Since 2010 we are to the satisfaction at Hotel Rijper Islands. 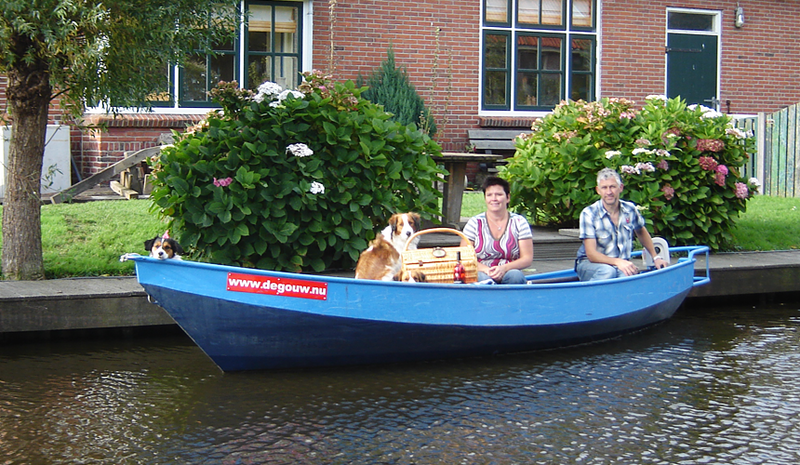 The hotel is fully wheelchair accessible and we have adapted our boats. Every day we work with pleasure. Our aim is to let everyone enjoy a great day. Therefore, we service and customer satisfaction are paramount.